We are so excited to work again this year with our partner Platinum Jewelry and meet and interview talented designers who love designing and making platinum engagement rings. 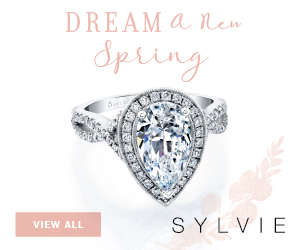 Single Stone is an exclusive and very popular collection of engagement rings featuring antique diamonds. We are big fans of their vintage-style yet super fresh settings. We also admire the fact that they were the original trailblazers in the “something old with something new” engagement ring category. Ari and Corina Madilian are the co-owners of Single Stone. 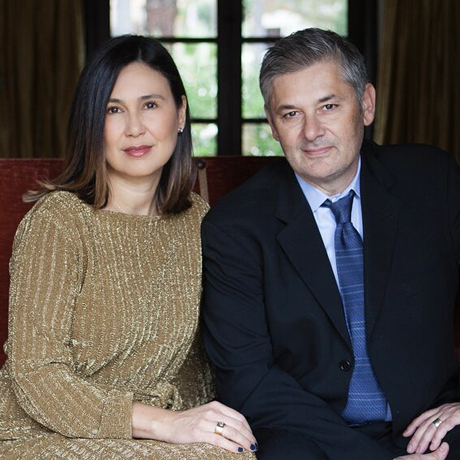 They manufacture their jewelry in Los Angeles and own a store in San Marino. You can also purchase their rings in the best retail jewelry stores in the US. Tell us more about the reasons and inspiration behind your unique concept. Having spent years restoring antique jewelry and working with vintage diamonds, Ari was quite familiar with the techniques necessary to maintain the integrity of original designs. It was from this appreciation of detail and the romance of vintage diamonds that Single Stone was born. Blending the past with the present, Single Stone creates jewelry that invokes historical details with the contemporary elements of today. Most of your rings feature old European cut diamonds, cushion cut diamonds and rose cut diamonds. What do you love about each of these cuts? What are your current favorite platinum designs featuring them? 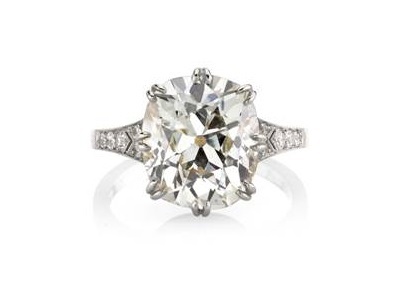 We specialize in antique diamonds cut between the late 1800’s and the early 1920’s. Antique stones were cut by hand and were cut to maximize the rough. They did not conform to a certain set of ideals, resulting in beautiful, one of a kind shapes that played harmoniously with low lighting. 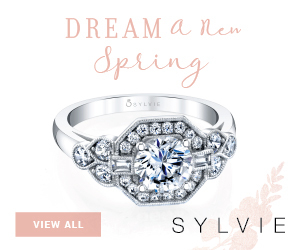 Our current and long time favorite with an old European cut center is our Charlotte ring. It is elegant and so timeless and is set in platinum. 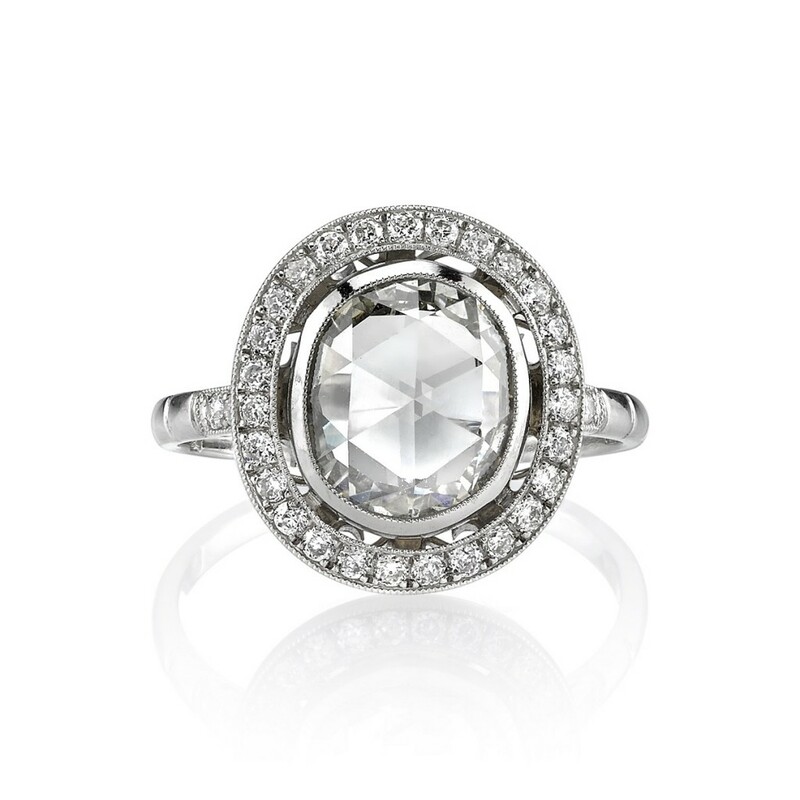 The Lorraine ring with a cushion cut center is a crowd favorite, it is also set in platinum! For a more subtle sparkle, but definitely beautiful none the less, we love the romance rose cut diamonds display, especially paired with surrounding old European cut diamonds. The Adair ring is one of our latest creations and combines elements of contemporary and vintage, it looks great set in platinum. When did people start wearing platinum and why do you think it is still the preferred metal for engagement rings? Platinum jewelry was very popular in the Edwardian and Art Deco era. This metal allows for ornate scroll and filigree work, but is still durable. It gains it own beautiful patina over time. Platinum remains a very popular metal choice because of its classic and timeless nature. Platinum plays very well with other metal colors for the more daring bride who likes to mix it up. Some people suffer from metal allergies. Platinum is hypoallergenic so is a great choice for someone who has sensitive skin. 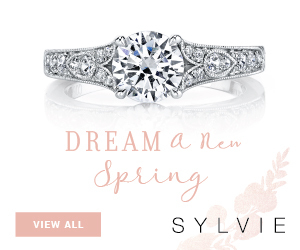 One of our favorite Single Stone ring has a platinum bezel. Can you tell us about the design of this ring and the benefits of the bezel part being made of platinum. Thanks for taking the time to answer our questions Ari and Corina! 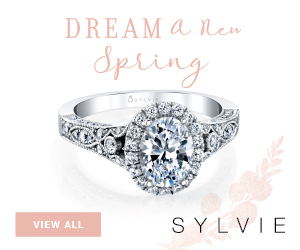 Click Single Stone to browse more rings!